Order by Ms Azlin for Jun-July-Aug-Sept 2018 birthday. 1st cake in year 2018. Special for good friend of mine, 15 years co-worker Ms Azie. For his son Ammar on his 6th birthday. TQ dear. 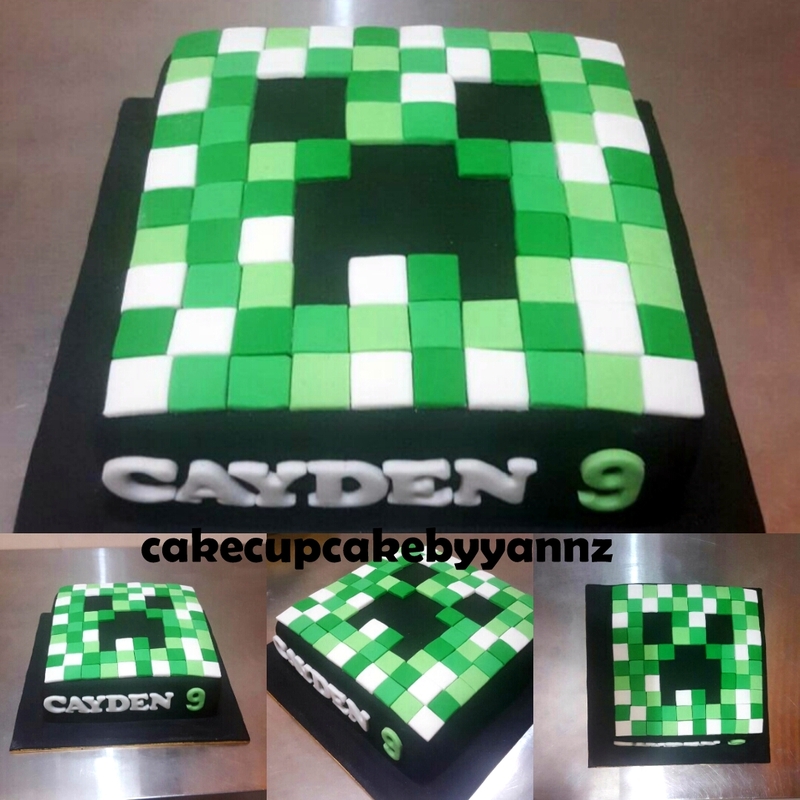 Still minecraft theme but with different design. This time is choc gamache cake with grass piping. We also making figurines of Steve, Creeper, Trees & TNT as deco. Delivered safely to Flipout K.Damansara. Making this simple cake for my daughter 10th birthday. 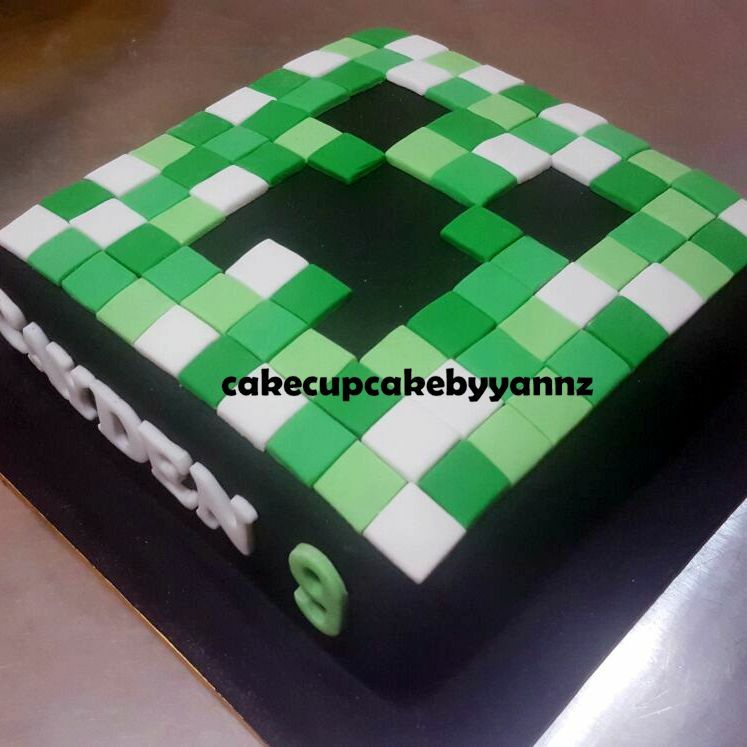 Order for minecraft cakefrom event planner : The Balloons. Thanks Shera for ordering. 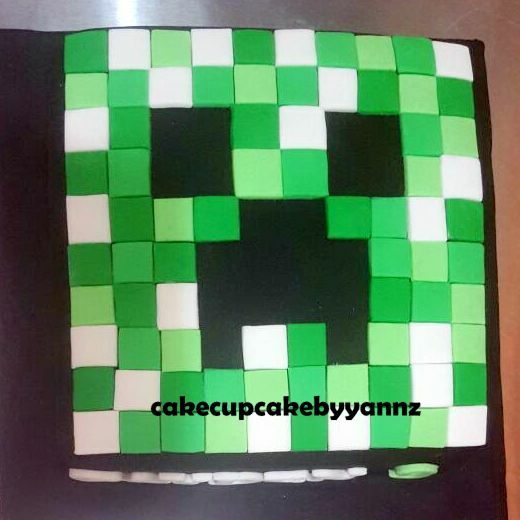 Minecraft cake with arrow for Diniy.